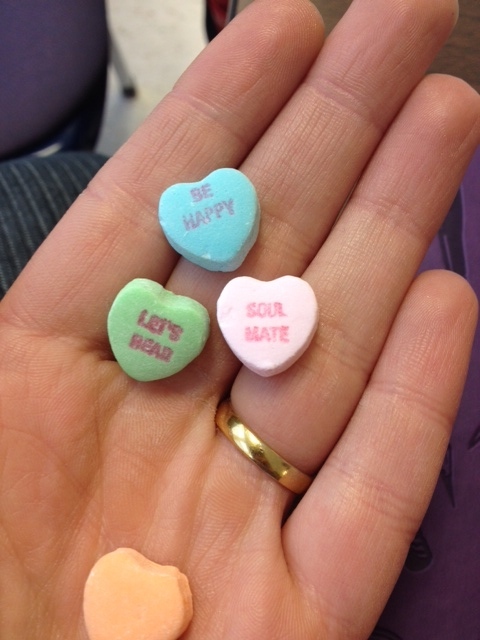 My secret valentine knows me very well. 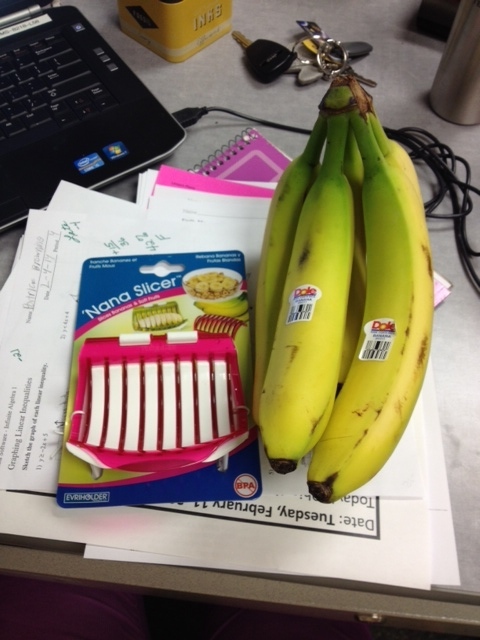 I found this ‘Nana Slicer and some banana’s in my mailbox at work on Tuesday. Love it! 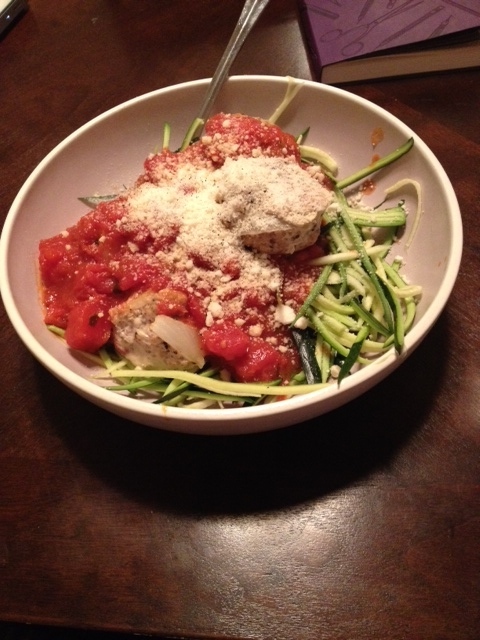 I made these easy and delicious turkey meatballs the other night. Mix all ingredients together. 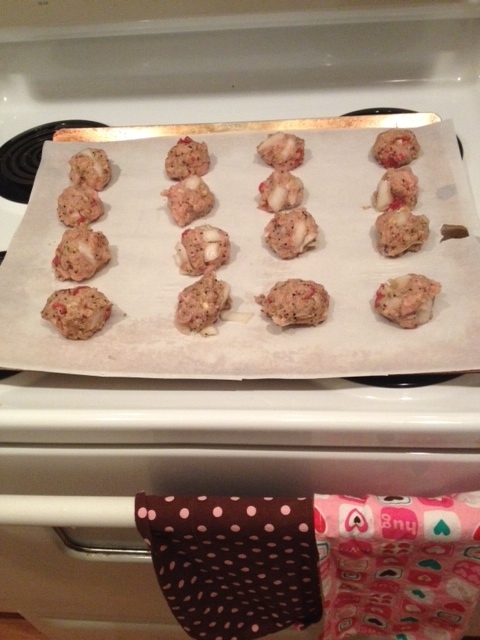 Lay meatballs on parchment paper and place in over at 400 degrees for about 20-30 minutes. 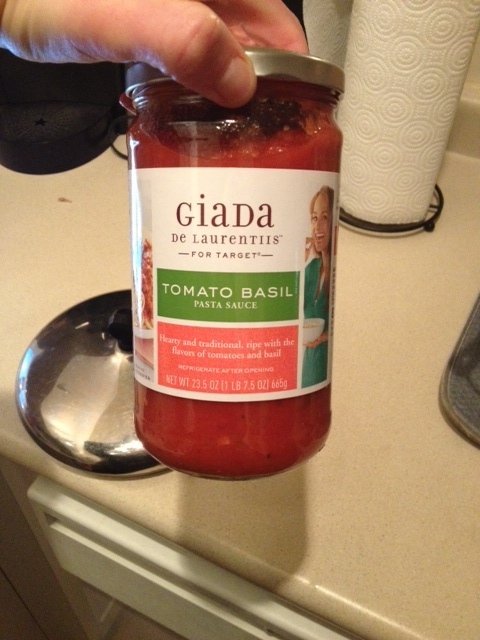 I love Giada, so I had to support my girl and try her Tomato Basil sauce found at Target! It was so delicious! 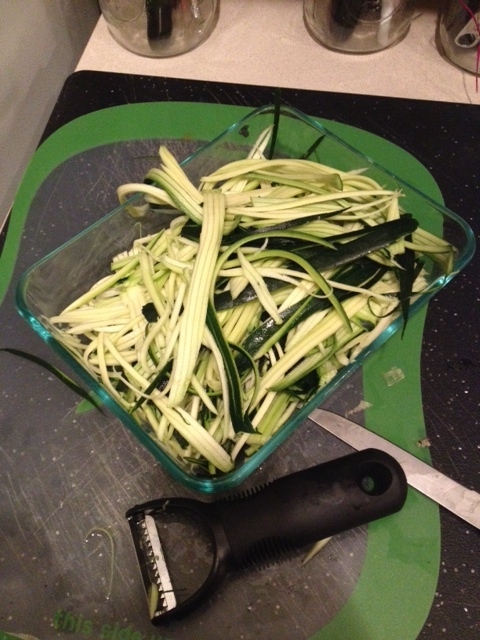 I then made some “zoodles” (Zuchini Noodles) to go with my sauce and meatballs. I like parmesan cheese. a.lot. This is what we are currently looking at in Frederick. 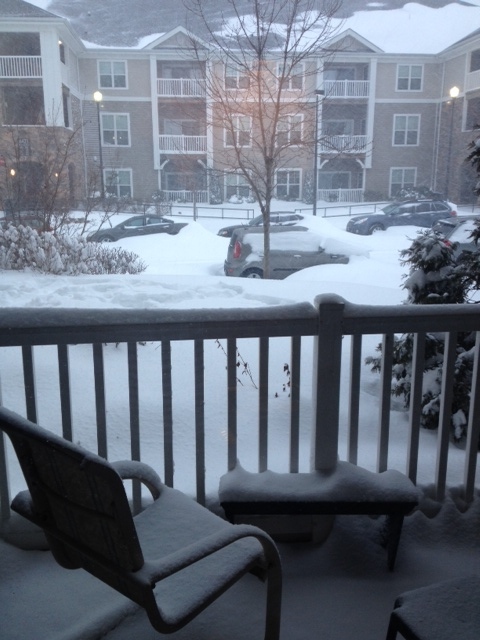 There is at least a foot and a half out there already! Tucker can barely walk! On today’s snow day agenda is to bake some treats, do some grad work, and watch the Olympics!